“I had never experienced chiropractic care” admits Dr. Nancy Gravel. I had finished my pre-med degree at Indiana State University and didn’t have a direction for my future. After talking to my father about my situation, he suggested that I apply to chiropractic school. He had watched his mother have great success with chiropractic care after suffering a serious back injury. She was virtually carried into the office and after the treatment walked out! He said that it was incredible to see her get her life back so quickly! I was fascinated and wanted to find out more about chiropractic. On faith, I entered Palmer College of Chiropractic in Davenport IA in 1981. During my four years at Palmer, courses included biochemistry, a major emphasis on anatomy and human physiology, X-ray, diagnosis, chiropractic adjusting techniques and patient care in the Palmer College Public Clinic. 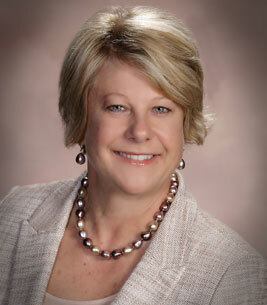 After graduating in 1984, Dr. Gravel moved to Mandeville area to establish her practice. “Since graduating I have seen miracles happen daily and have helped people with long-standing health problems resolve without drugs or the risk of surgery. Dr. Nancy is also a Homecoming for Veterans clinician, and is dedicated to providing neurofeedback treatment for veterans in need with PTSD at no cost. Through the years I have become more and more convinced that wellness is a way of life and I feel compelled to communicate that to people. Diet and exercise not only extend life, but improves the quality of life. Dr. Gravel is married to Blaine and they have two children, twins, Matthew and Nicholas. Both children were born in Covington, LA and have never been vaccinated. (If that sounds interesting, be sure to ask Dr. Gravel to explain!) “My twin sons are the joy of my life.” They are 26 now and Matt is a proud LSU graduate, married to Alexandra Boullosa & an Associate Sales Representative for Stryker CMF. Nick is a graduate of Tulane and is enjoying his work as a Sales Representative for Faure Herman Meter. My husband and I have recently taken up golf and we are having lots of fun! Contact our Mandeville practice to learn how we can help you reach your health goals. Mandeville, Covington and Madisonville communities. Appreciate the time taken to explain and the friendliness and ease with entire staff. You guys are awesome! Dr. Nancy was great! She understood exactly what I was suffering from and helped me start recovery at once. Dr. Nancy also has a very positive attitude which helps. Great energy. Thanks doc! Very nice and very accommodating. It was not only a pleasure but also a huge relief. I was able to understand both my injuries and treatment but also I enjoyed the personal touch. I knew from that moment that Dr. Gravel would treat me like family. She truly cares about her patients.Thanks! Dr. Nancy is a sweet and concerned care giver. She is compassionate and respectful of your needs as a patient. I was very happy with my first visit, I look forward to working with Dr. Nancy.